Liberal Arts, written and directed by Josh Radnor, tells the story of Jesse Fisher (also played by Radnor), a newly single university admissions counselor in his mid-thirties, who returns to his college alma mater for a retirement dinner honoring his favorite teacher (Richard Jenkins). While there, he not only comes across some rather unique characters, like the zen Nat (Zac Efron) and the brooding young depressive Dean (John Magaro), but also 19-year-old undergrad Zibby (Elizabeth Olsen), for whom he is both attracted to and torn about their age difference. During this recent exclusive phone interview with Collider, Josh Radnor talked about what inspired Liberal Arts, what made co-stars Elizabeth Olsen and Elizabeth Reaser the perfect actresses for their roles, where he personally stands on the debate of whether you should read to be entertained or read to be enriched, and how filmmaking is equal parts challenging and enjoyable. He also talked about currently developing his next project, his desire to work on things that feel both professionally exciting and personally relevant, being in a confusing place with his TV show How I Met Your Mother (starting its eighth season on September 24th) because none of the cast or crew know if this is going to be the last season or not, and that it would be a real shame, if things weren’t wrapped up properly. Check out what he had to say after the jump. Collider: How did Liberal Arts come about? Was it something that you’d been thinking about writing for awhile? 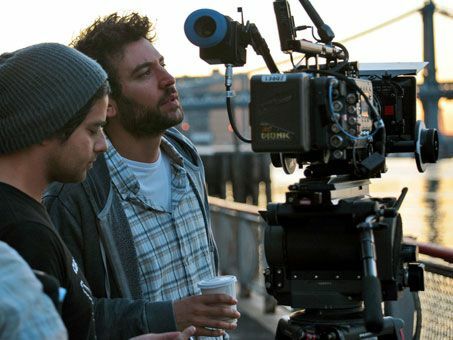 JOSH RADNOR: It was inspired by a trip to Kenyon College, my alma mater where we shot the movie and where I went to show Happythankyoumoreplease a few years ago. It was just one of those times where you realize that you’re considerably older than you were when you were in college, and you’re considerably older than the rest of the students there. It was a little confusing for me and slightly unsettling, and I just came up with this idea of a guy who hadn’t gotten over college and has a pretty uninspiring job and things aren’t quite working out for him, when he’s 35. He’s idealized his college experience and goes back to speak at his favorite professor’s retirement dinner, and meets and falls for this 19-year-old sophomore. And I started to think, “What would that do to someone?” I sometimes don’t know what I’m writing when I start writing it, on some level. The movie became a piece about aging and nostalgia and change, and all sorts of things that I didn’t know it was going to be about. But, it was a great thrill to be able to write about this collegiate world that I knew very well. Was there ever a version where Jesse wasn’t torn over his attraction to Zibby? RADNOR: Well, his inner resistance and the torment he goes through was always something that I knew was going to be a part of it. I don’t want to give too much away, but a lot of movies are about justifying why he can be with her, and this movie is not that movie. The thing about the character of Zibby, that Elizabeth Olsen plays, is that she’s not just this 19-year-old who charms him. She also represents something to him that he’s longing for. There were a few lines that were cut, that I actually rather liked, but they just had to go because they were in scenes that had to go. But, there was this running gag about how he never could have gotten a girl like that when he was there, and that she wouldn’t have paid him much attention, if they were in school, at the same time. I think that that’s fueling it a little bit. She’s the most sparkly, most charming girl in any room she’s in and she’s interested in him, and that really affects him. All of the characters in the film really bring out different pieces of Jesse, through their interactions with each other. What was it about Elizabeth Olsen that made her the perfect Zibby, and then finding the perfect contrast to that with Elizabeth Reaser? RADNOR: Well, both roles are delicate, in terms of having to be played right, or something would be off in the movie. Elizabeth Reaser’s part has to be charming enough and really get across to the audience that she’s a wonderful match for this guy because you spend 85% of the movie building up this relationship between these other two people. Hopefully, on some level, even though there’s that age difference, the audience is rooting for Jesse and Zibby to be together. I’ve known Elizabeth Reaser for years. She was at Juilliard when I was at NYU. We’ve been friends for a long time, and I’ve always wanted to work with her. When I wrote this role, she was in L.A. and I was in Ohio, prepping the movie. We just had a Skype call and I remembered how much I liked talking to her. We really make each other laugh. I just figured that part of our dynamic would be translating to the screen, and I think that’s correct because I’m thoroughly charmed by her performance in the movie. And I share an agent with Lizzie Olsen. When I got an early draft of the script to our agent, she told me about Lizzie and said, “She’s your Zibby, trust me,” and this was before she had her big, splashy debut at Sundance with Martha Marcy May Marlene. So, I met Lizzie and I thought she was really perfect, and she was very keen on doing the movie. When things are right, there’s an effortlessness that takes over, and it was that way with Lizzie. A lot of people think I wrote the role for her because she so embodies the character, but I wrote the role, and then she came on and I’m intensely grateful she did. I can’t imagine anyone else in the part. Without referencing any specific books, where do you personally stand on the debate of whether you should read to be entertained or read to be enriched? RADNOR: I’m not a masochistic reader. If something is just too dense or not enjoyable, even though I’m told it should be good for me, I’ll put it down. That said, most of what I read would be considered high-end or good for you, I suppose. But, I also think that reading should be enjoyable. The sweet spot, for me, is something that’s both enjoyable and feels nourishing, but doesn’t feel like junk food. That said, when I was writing that argument, I think that Zibby wins that argument. She demolishes Jesse and reveals him to be a cultural snob, for no reason other than just being a snob. I also think that, given what teenagers could be doing these days, in terms of entertainment, there’s something touching about a kid who’s reading a book that’s printed on actual paper. I know that I didn’t start off reading quality literature, and I found my way to it just because I developed a love of reading. So, I think that anything that kids start reading, within reason, can lead to other discoveries. I care about reading, a lot. It’s a big part of my life. I think it’s interesting to argue about books, and I wanted to make a movie that treated reading with great seriousness. As you learn more about how all this works, with each film that you make, does it get any easier or does it just make you realize how difficult and all-consuming it is? RADNOR: Well, I think it’s, at once, as difficult as they say it is and it’s also more enjoyable than people tell you it is. There’s all these stories about directors losing their minds and screaming and having temper tantrums. I’ve just found that I enjoy this process so much. Even during the really, really hard days, in the midst of it, there’s this internal thrill, in the dorkiest way, that’s like, “Oh, my god, we’re making a movie! How cool is that?! What a great thing to do with your day, to work on a movie.” My cinematographer, Seamus Tierney, is really enthusiastic, in a very childlike way, about what he does. Just being around him, he’s just never happier than when he’s on a movie set, shooting. It’s infectious, and it taught me a lot about how great it is to make movies. But, each film is difficult, in its own particular way. There’s a unique set of challenges on every movie. It is all-consuming and I would never say that it’s not difficult, but there’s also a great joy to it that I don’t think people talk about as much. When you’re on a TV show, for as long as you have been with How I Met Your Mother, does it become that tug-of-war between wanting to move on to other things, but also knowing that those opportunities wouldn’t be there without the success of the show? RADNOR: Yeah, 100%. You don’t really want to turn your back on the thing that gave you the other opportunities, anyway. None of us have suffered from being on that show. All of us have gotten a great boost. Also, we’ve had time to do other things. I wrote, directed and starred in two films, in the last few years, and it’s because of the schedule we have on the show that I was allowed to and was able to do that. 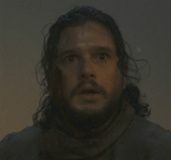 Are you starting to see an endgame, at this point, or are you still excited about where the show is going? RADNOR: You know, we’re in such a confusing place because none of us know if the show is going to be ending this year or not. I think the writers really need to know more than we need to know because they need to start either wrapping things up or keeping the story going. 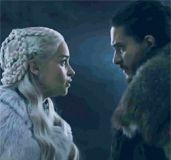 If a deal could be struck for everyone, that made it attractive for everyone including the writers to keep going, then we’ll see what happens. The studio has only recently engaged us in talks about it, so when we were asked about it, we really had nothing to report because no one had come to us yet. And you want to be able to have that closure for your loyal fans. RADNOR: Yeah. There’s such a high degree of investment in the show, that I think it would be a real shame, if it was wrapped up in anything other than the most elegant fashion. When you only have a small window between seasons to do other work, have you already started to think about what you’d like to do for your next film? RADNOR: Yeah, I started taking notes and doing little sketches of scenes. That’s what I do. I get the idea and I start thinking about the characters. I just daydream about it a lot and I let the characters formulate. The next step is to get them talking a little bit. I’ll think of scenes or scenarios, and then start writing. Hopefully, something vivid starts to emerge, and then it’s time to put it in a better shape. That’s where I’m at, right now. I’m definitely in the early stages of something. I’m excited about this new one. I don’t really want to say anything about it ‘cause I’m superstitious, but hopefully there’s something coming soon. Is there a type of movie or a genre that you’d love to work or write it, but haven’t had the chance to do yet? 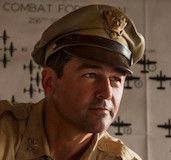 RADNOR: It’s interesting ‘cause I love watching all sorts of different types of movies, but that doesn’t mean they’re necessarily movies I want to be making. I’m really interested in what’s going on right now. Modern stories are interesting to me. I want to make some sense of what’s going on right now, both individually and collectively. I’m not sitting around saying, “Man, I’d really love to direct a western.” That’s just not something I’m probably going to do, mostly because I’m allergic to horses. But, I’m just looking to work on things that both feel professionally exciting and personally relevant. 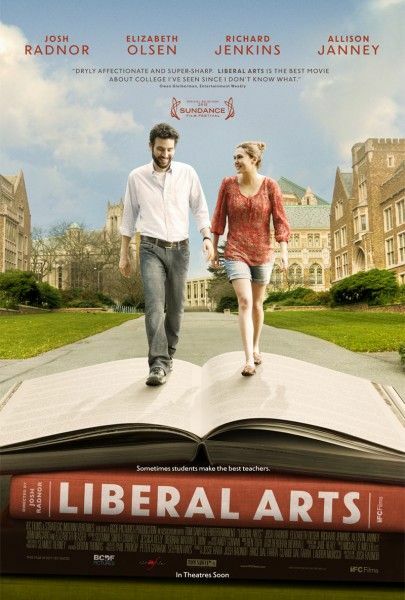 Liberal Arts opens in theaters on September 14th. How I Met Your Mother returns for Season 8 on CBS on September 24th.